When you are planning to go abroad for any purpose with your family, friends or even alone, you have to make sure that you have the Passport and Visa. Passport is the most important official document, which one should possess for international travelling. It is issued by the government to the citizens of the country, on their application. It also serves as an identification proof, as it certifies the identity and citizenship of the holder. Visa, on the other hand, is not a separate document but an endorsement on the passport, authorising a person to enter and stay in a country for a particular period. This article will help you in understanding the basic differences between passport and visa, take a read. 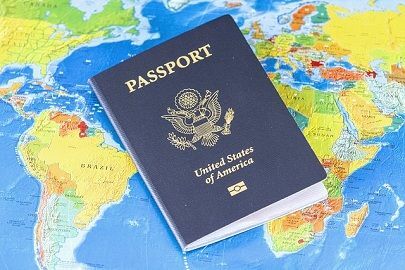 Meaning Passport is a legal document, that the government of a country issues to its citizens, authorizing to travel abroad and certifying the identity and nationality of the holder. Visa means an official permission granted by the authorized officer of the country and affixed in the passport, allowing the bearer to enter, travel or stay in the country for the duration specified. What is it? It is a personal identification. It is an official permission. Purpose To identify a person when travelling foriegn country and also to reenter in the country of citizenship. To enter and stay within a foreign country. Issued by Government of the country you belong. Representative officials you are wiling to visit. Passport is a legal document that one needs to travel foreign countries. It is issued by the government of a country, which authenticates the identity and nationality of the bearer. The passport holder is entitled to travel abroad under its protection, to and from other nations. The passport may vary from one country to another. However, in general, contains the basic details of the holder, i.e. name, photograph, signature, place, birthdate and physical characteristics. Besides this, passport number, country code, date of issue and date of expiry of the passport is also mentioned in it. It acts as proof of citizenship, and so the holder of the passport can enter the country issuing it. The validity period of a passport is ten years, after which it can be renewed. Nowadays, biometric passports are issued by many countries, in which a microchip is embedded in the passport, that contains biometric information. It is machine-readable and cannot be forged. Different types of passport include ordinary passport, official passport and the diplomatic passport. Visa can be described as a temporary legal authorization, given by immigration officials of a country to a person belonging to another country, signifying that the person’s details are confirmed, and he/she is permitted to enter and stay in the country, for the stipulated period. The permission is conditional in nature and is based on the approval of the immigration officer at the time of actual entry of the foreigner. The officers are entitled to grant or deny the entry of the foreign citizen. Visa contains details like the period of foreign national’s stay, places where he/she is allowed to enter, dates when he/she can enter, number of visits allowed, etc. There are various types of visas issued for various purposes, such as tourist visa, transit visa, student visa, business visa, visa for medical reasons, temporary worker visa, etc. Passport can be described as an official travel document that is issued by the government of a country to its nationals on the application, which allows them to travel internationally, by authenticating the identity and nationality of the bearer. On the other hand, visa implies a conditional authorization granted to the foreign national by the country’s representatives, that permits the bearer to visit and stay the country for the particular duration. Passport serves as a personal identification of the bearer, whereas visa amounts to an official permission, to travel or remain within the country. Passport can be in the form of a legal document, while the visa is affixed in the passport, like a stamp. The passport is an important document which is needed to identify a person when he/she travels the foreign country, and it is also required to reenter in the country from which he/she belongs. On the contrary, the visa is must to enter and stay in a foreign country. The government of a country from where a person belongs issues passport. Conversely, the representative officials country to which one wants to visit issues visa. There is a specific government department, in every country which issues passport. Unlike, the embassy or consulate of the country has the authority to issue a visa. To sum up, a passport is a document that is used to identify a person, when he/she is travelling to another country, whereas visa is an official permission granted by the country’s representative to enter and reside the country. Without these two documents, no person can go for a trip to abroad. The information difference between passport and Visa is really helpful for me to argue my case stating that passport is legal document and visa does not. Could you please provide the any reference to cite the difference between passport and Visa .